Kanye West went all out to make sure that this holiday season was one that his wife, Kim Kardashian, will never forget. 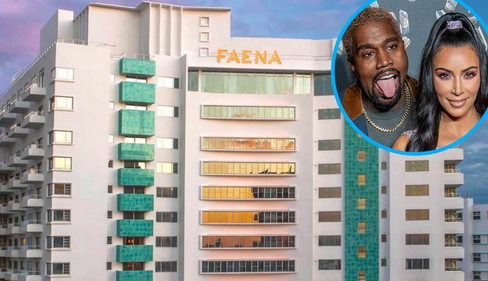 The 41-year-old rapper bought the 38-year-old reality star a $14 million luxury Miami Beach condo for Christmas. The couple have been looking for a place in the area for quite some time and the musician recently decided to go ahead and make an offer so he could surprise the Keeping Up With the Kardashians star. wrap-around terraces, floor-to-ceiling windows, direct ocean views, a spa, a gym and much more. Their unit is 4,700 square feet and has four bedrooms and five-and-a-half bathrooms.